FUJAIRAH, UAE (Nov. 24, 2018) – Sport referees are in a lose-lose situation: They are overlooked and ignored when things go well, furiously blamed when things go badly. For this reason, you might expect a litany of complaints when you speak to refs off the field of play. 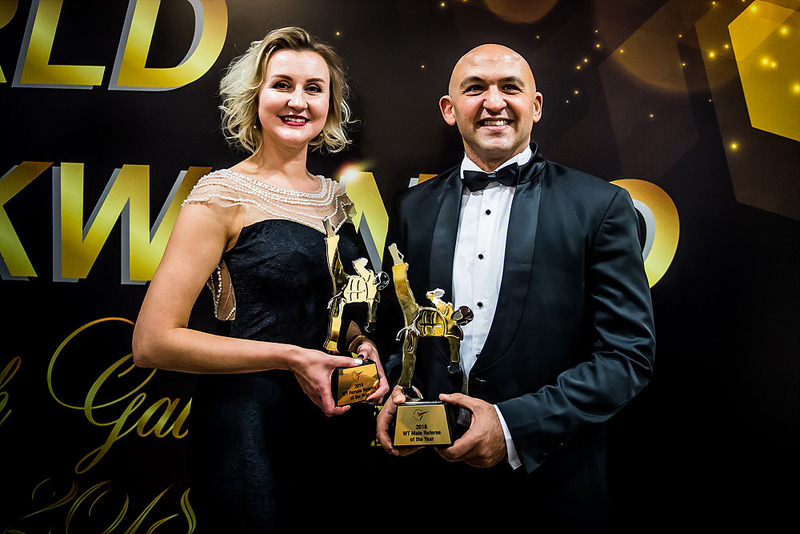 However, you won’t hear any negativity from WT’s 2018 Referees of the Year – Ksenia Choucha of Belarus and Mohamed Adel Abdelfattah of Egypt. Both refs have been in taekwondo for a long time, and both were players before turning to officiating. Choucha also coaches children (including her own daughter) and deaf children. Both also have children who have taken up the sport. A key plus for the referees is that they get to share the mats with the heroes competing at the very highest level of the sport, and that is an achievement in and of itself, Choucha reckons. However, with WT constantly tweaking rules in order to upgrade taekwondo’s spectacle, referees are under pressure to keep up to date with an ever-evolving game. 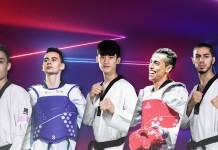 While the PSS has obviated the potential for judging errors, another issue for the referees, who wield the powerful gamjeon penalties, is the rising standard of elite-level taekwondo athletes across the board. In terms of changes to the game, it not just rules. In recent years WT has been upgrading the presentation surrounding the game – rock music between rounds, flashinng LED displays, light shows, and more razzmatazz overall. “Now the games are more and more dynamic and the venues are more bright, fresher – it’s amazing!” said Choucha. “From competition to competition we have something new – how we organize the court, the positions around the court. So what makes a great ref? They should be “professional, passionate, honest and confident” suggested the Belorussian; they need to be “educated, transparent, focused and well behaved,” reckoned the Egyptian. 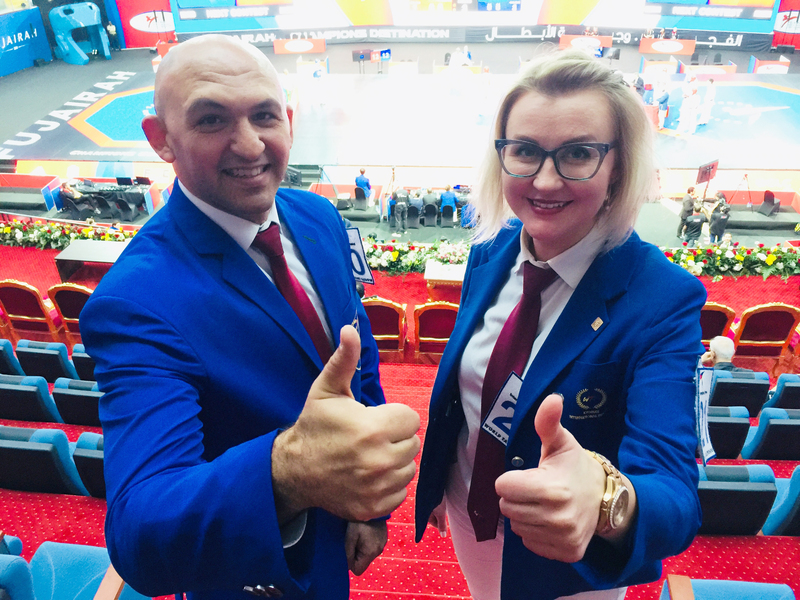 They also need to be friendly – because what is evident at every WT event is that there are powerful bonds of camaraderie among the international referee corps. For both these top refs, it all comes down to people.